Serving up an abundance of opulent cabin features, the 2018 Mercedes-Benz GLC also comes through with impressive performance numbers and features for drivers in Folsom. 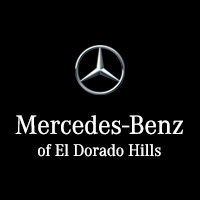 Take a peak under the hood, and then make the trip from Gold River to Mercedes-Benz of El Dorado Hills to take advantage of our manager specials. This sophisticated all-wheel drive system constantly monitors road conditions and adjusts the amount of torque sent to specific wheels to help offer optimal stability and traction at all times. This nine-speed automatic transmission is offered with DYNAMIC SELECT, allowing you to choose between a variety of driving modes, from ECO to Sport. The standard engine on the GLC 300 is a turbocharged inline-four that makes 241 hp and 273 lb-ft of torque, helping it accelerate from 0 to 60 mph in just 6.3 seconds. Mating the turbocharged engine to a plug-in hybrid electric motor, the GLC 350e 4MATIC® puts out a combined 320 hp and 413 lb-ft of torque. You can get a lease or loan for the new Mercedes-Benz GLC SUV right now near Folsom at Mercedes-Benz of El Dorado Hills, and you can contact our sales team with questions at any time. While you’re here, see what the differences between the Mercedes-Benz GLC, GLE, and GLA are, as well as our comparison between the Mercedes-Benz GLC and the Audi Q3 and the Mercedes-Benz GLC and the Lexus NX.